A WARRIOR 40th Anniversary Special!!! 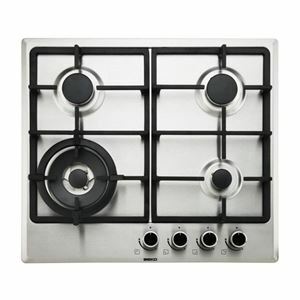 Easy Cleaning Hob - The hob and pan supports on this kitchen appliance have been designed to be simple and eye pleasing. Remove the cast iron supports with ease for simple, efficient cleaning. Automatic Ignition - Beko have made turning on your hob quicker and easier. Simply press and turn the dial for instant auto ignition and begin cooking straight away. Flame Failure Safety Device - The flame failure safety device provides ultimate peace of mind. It will automatically cut the gas supply if the flame accidently extinguishes, eliminating the risk of a gas leakage. Cast Iron Pan Supports - The cast iron pan supports have been designed to guarantee maximum stability and generous spacing between the burners. 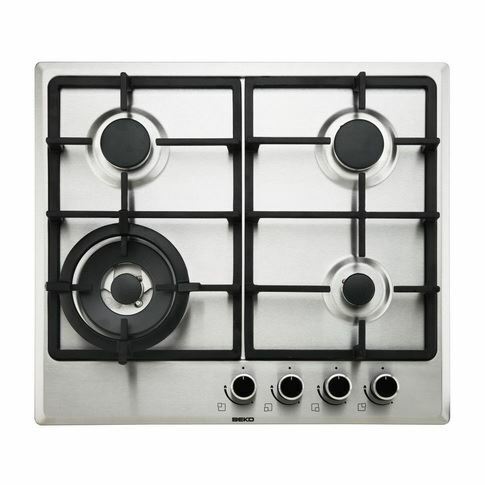 Because of the straight design, you can slide your pots and pans to different burners if you require.